“A QHHT Christmas Story” received a really good comment that gives me the push to say a little more about how QHHT works, as well as what we are becoming. The comment was, “I believe this to be made up. The wise men didn’t find Jesus until he was around 12. Nice story.” I thought it was around 1.5 years. The fact is, we don’t really know. In fact, most of the record of Jesus’s life has been lost, hidden or rewritten. We don’t even use the right name. Yeshua is closer to it. most appropriate advise, understanding, and healing for the client at the time. The point of that session by Candace Craw-Goldman and her client, Jay, is that Jay got the understanding he needed to go on with his current incarnation in a more psychologically wholesome way, from being shown and given understanding of a deep metaphysical truth. In addition to showing Jay what was most helpful to his life, the Christmas Story is, as are many QHHT sessions, a lesson for all of us. 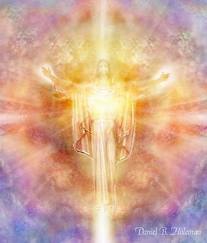 When Rudolf Steiner wrote and lectured on the topic, it was only possible to discern that Jesus was a real person by using the eyes of spirit. All my teachers—mystics, occultists, and shaman, know him to be real. A Peruvian shaman told us that when the Europeans came and told the people about Jesus, they said, “Oh, yes, we know him.” Since Steiner’s time, gnostic writings have been found that confirm the fact of Jesus’s life. Jesus is a model for us. He had no intention of starting, would never have started, a religion. He lived and taught a life of Love. More than that, he made it possible to live as he did, by anchoring the Christ energy into the Earth, so that it was flowing on the planet, accessible to humans. Supposedly, he said that we would do all he did and greater. I’m sure that he did teach that truth, which is happening to many people already, in this New Earth. Determine whether or not to believe it, by your own powers of discernment. 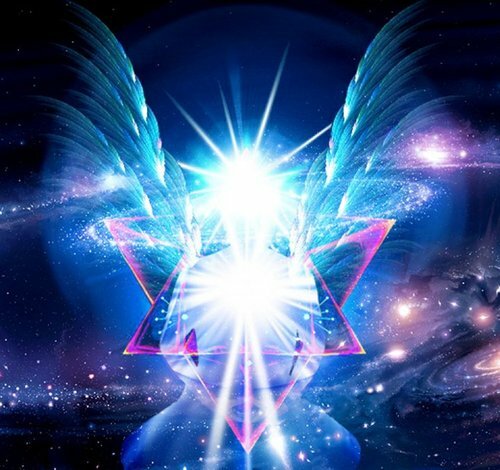 It is time now to know that we are all Light Beings, and to become conscious of the flow of Light through us, shine it out our hearts, healing and Loving this whole planet. Dolores has always said, that if the session helps the client, that is all that is important, whether or not the session was “real” in the sense we usually mean, or symbolic, a metaphor or …a parallel reality. At the same time, she has always claimed to be a detective, and a writer about lost knowledge. I truly wish I could have worked more with Jay. I have so many questions, some of which I did ask in the SC…but…as it was HIS session, HIS questions took precedence over my curiosity about further exploration. For example…why WATER?? and why was it being presented to Mary? Believe it or not Emoto was referenced in that SC convo. I did condense the session, more happened, as you might expect. So much more could have, might be still available to discover about this scene with Christ and the “three wise men” , through Jay or someone else, perhaps. Consciousness is more accessible and fluid than we humans give it credit. So how did THEY know him? What stories did THEY have? Thank you for your interest and well considered thoughts and also for sharing my article, Rosalie. Thanks, Candace, for your further elucidation of how QHHT works, how the practitioner works and your further thoughts on the meaning and content of Jay’s session. I wish I’d ask more about Jesus and Peru. I think our minds were a little blown at all we heard that day of touring Cusco with shaman Ruben Orellana. I’d also love to hear what the SC (Subconscious / Higher Self) said about Dr. Emoto, who photographed freezing water crystals after being exposed to emotions and ideas. How fascinating this session was. Thank you and Jay for sharing it with us!